Two Columbia City students were recently recognized by the St. Helens Veterans of Foreign Wars Post 1440 and its Auxiliary Unit for their entries in an annual essay contest. 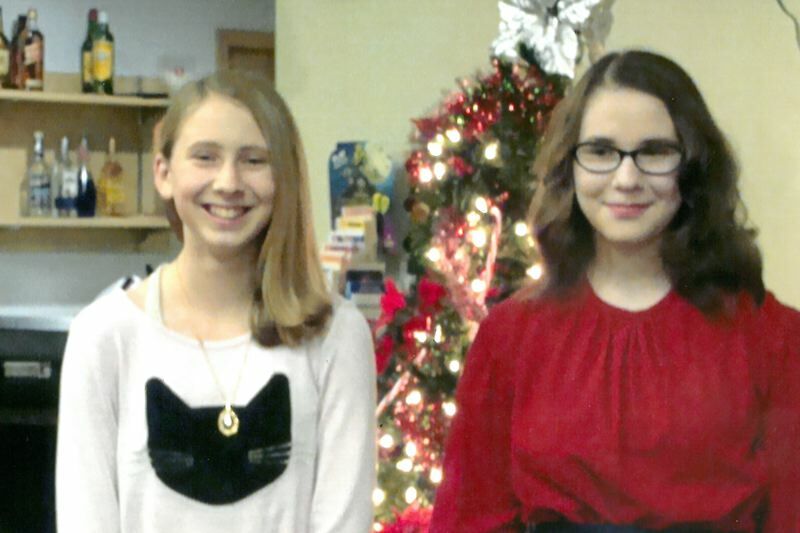 Alexis Jenkins, a seventh-grader, and Maria Burns, a sophomore, both from Columbia City, were honored by the local post and auxiliary and were announced as the post winners in the Patriot's Pen and Voice of Democracy essay contests. The annual essay contests are organized and sponsored by the national VFW and provide contest winners with awards of recognition and scholarship money. First-place winners in each statewide competition are invited to an award ceremony in Washington, D.C., where grand prize national winners are announced. High school students are eligible for a $30,000 scholarship, while middle-schoolers are eligible for a $5,000 scholarship. The VFW competition has two categories — one for sixth- through eighth-graders called the Patriot's Pen, and one for high school students called the Voice of Democracy. Each year, a different theme is selected for the contests and students must write a short essay that adheres to the topic. The entries are first submitted to the local VFW for judging and then go on to compete at the district level before a winner is selected at the state level. Those selected then advance to the national competition held in Washington, D.C., in March. This year, Jenkins was selected as the post and district winner in the Patriot's Pen essay competition. Jenkins' essay, which followed the theme of "Why I Honor the American Flag," will now compete against 13 other districts in Oregon in the statewide contest. Jenkins said she was "surprised and excited" to be selected. For her, having her essay chosen as a contest winner meant that her work "really paid off." Additionally, Burns was selected as the post winner for the Voice of Democracy contest, which is open to high school students. The theme for this year's contest was "Why My Vote Matters." To find inspiration for Burns' entry, she said she looked at the sacrifices people have made historically that allow modern day citizens the right to vote, and why that is important. "Well, the theme this year was why voting matters, and I think it's important to vote," Burns said. "I pretty much thought of reasons why you should vote and the sacrifices which people made back then, so that I can vote now." Burns has been a frequent competitor with the essay contests offered by the VFW. In the 2016-17 school year, when Burns was a middle school student, she won the post-, district- and state-level Patriot's Pen essay competition. Last fall, Burns entered high school and began entering that level's Voice of Democracy contest. She also won the post- and district-level of the competition with her essay in the 2017-18 school year. Burns said she enjoys working on the essays and plans to enter again in next year's competition as well. "Well I like doing it. I think it's kind of fun," Burns said.